My colleague Paula Fernández-Ochoa and I offered a dialogue on branding staff we entitled “It's distingues a extingues“. It was part of a webinar organized by QUIFER Consultants (Dominican Republic) as warm up or heating of the events taking place in the #BrandingWeekRD in early February 2019 In Santo Domingo. We leave the video of the webinar, and if you have little time, We've left a summary of the dialogue in text format you'll find after video. Paula: William, We started the dialogue on personal branding. What does the title you distinguish or you extingues? William: The generation of our parents argued for discretion. Today is the disappearance discretion. Paula Where was the discretion of lawyers? Paula: That I know well ... I'm a lawyer and I have seen the evolution: confidentiality of the profession, advertising ban… Many do not see the need to become visible, a mistake. William: Going back to the title "I distinguish or extingues you", Paula, Why do you think it's important to do things differently? William: A factor that makes sense of the difference is the relevance. In other words, the difference alone is not a factor of choice. What you do, besides being different, It should bring value. Paula: This is what we know as Value proposal,… But go to parties. William: The next phase of our diagnosis is to know where we want to go, what we do and how we can do. It is what we know as personal strategy. Paula, Where would you start a strategy? Paula: To define a objective. Without that we can not assess the process, The success or failure. William: The advantage is that we focus on Personal Branding a target: Reference being something, with a defined specialty, in a particular geographical area and a differential value proposition. Paula: Not be easy, even one, but it is true that this marks everything we do next, so you have to give top priority. William: It is important not to confuse the target, It is concerning us, with the purpose the purpose, which it refers to our contribution to the world. Paula: He said Nietzsche if we find our why and find how, and he was right. After Nietzsche, leading specialist Simon Sinek (Theory Golden Circle) He invited us to generate our speech beginning with why, following the how and ending with what (product, service), and not vice versa as it is being done forever. William: define the a purpose is not easy, but there is an exercise, you may not like, that can help. What would you like to put on your epitaph?. Well, if you know, It changes the way "I" for "will" and you have your purpose. William: In any case, the purpose might consider as View. All you get moving toward that goal will be our Mission. Paula: Important to consider values. Guillem calls "Superpowers"And we as emotional and educational heritage from very small. William: Surely feedback to work to reach the SWOT have emerged some of them, but a formula to identify them is to look for a list of values (there are up 200), preselecting 10 values ​​that are important to us and then stay there with 3 O 4, these are our superpowers. Paula: Defined the objective, the vision, mission and values, It comes the moment of truth, define our value proposition and our business model. We are at the peak time of the strategy. David Barreda He says that is a value proposition that makes a particular customer or company decant for you. Paula: And that's it going, to provide. The value proposition focuses on your customer, not you. And your client may be your boss, do not forget. William: So is, is not talking about yourself, but how we can improve the situation of who we hire. Whether alleviating a problem (pain) or detecting an opportunity (gain). Paula: The interesting, and how difficult, is that this proposal, Besides, is only. If your proposal says the same as the neighbor, It will not be differential, and the factor of choice is in the air. Paula: And another example: the lawyer who wrote a postscript after specialty “never me laughing”. That can be the difference. Paula: in the other case, an opportunity to explore new revenue thanks to value resilience opens. William: It is important not only set ourselves in our rational attributes. Attitudes have, and values ​​also. Something like a smile, as a "never give up", can be a differentiation factor. Paula, Why do not you explain your own case, that of a lawyer, brander staff and ambassador of the sport and health? Paula: Our channels are the ones we help bring the value proposition to our customers ... what we should add or delete? Paula: activities would be what appears on our business card, is our catalog of services or products. Paula: Without that calculation it would not be a business model. Paula: With the business model, we have defined a strategy: you have to keep what works and create an action plan for what we do not have. And with this move to the next level: Visibility. William: the tip of the iceberg, our communication and networking plan. Like everything plan, here we need goals, with focus placed on precise indicators audiences, people who reach ... does not it, Paula? Paula: So is, William. We know them as SMART goals, which stands indicate that must be specific, measurable, achievable, relevant and related to time. William: for example, Imagine this goal SMART: We will increase the activity and frequency of publication on Twitter and Facebook for a 500% followers (profile 100 a 600) during the following 12 months, in order to increase our online reputation and have a community of active followers. Paula: Here specifics are our followers on Twitter and Facebook. The measurable is to move from 100 a 600. What is achievable increase activity and frequency. What is relevant is to increase our online reputation and have a community of active followers. And as regards the time are as follows 12 months. William: Agree, SMART define our goals with the highest possible accuracy, only then can we measure the evolution of results. The next step is to define our public goals. Paula: The advantage is that if we worked well the business model, we know customer segments. William: Yes, but here we need to better define their demographic and behavioral profiles then fine-tune the media and supports vehicular our messages to them. Paula: With a profile neard We not talk by phone, and a senior lawyer would not use Snapchat. Why is key to clearly define our target audience. Paula: To work the message will use the basis of the value proposition, but adapted to our public and to channel the different formats we use. William: There is. Not the same coldness of a chance encounter in an elevator warmth lunch or a video conference an hour. Paula: The elevator pitch calls for a strong first impact to attract attention, kind You know that your company fidelizaría one 50% more professional with an internal health and fitness program? Paula: Could be, could. Notice that no value proposition is very difficult to get the message. And a message like this could lead our social networking profiles. Where does the most emotional part of the message? William: You are talking about the personal account or storytelling personal. Today we know that what connects us is more related to our values, our history, our purpose, that on our care professional. Paula: And that trick there is to know to take advantage. The story wants to generate empathy, try to get in the skin of the user account, experience and live what has lived. In the field of personal brand, a story can be a video duration 1h, one of 10 minutes, one one simple Tweet. My partner Guillem see define a Twitter as "Version S. I love, I like working for others shine ". That's a story in itself, It is transferred to an account of presentation purpose. William: Another short story is the question before "Living Running", an evolution of the first "Living Laughing" Paula adapted to their new sporting environment. as LEVELS, not needed 20 folios to explain a little story that defines us, what we need is the basis, and both in the case of Paula and mine, is the purpose behind. Paula: Agree, our personal communication we plan objectives, the target audience and the message What are we missing? William: Something important, and measuring the average thereof. As account brander Andy Stalman, Today the world is OFF and ON, a symbiosis, and he is right. Paula: They say that today there is no one without the other. The real world needs to virtual and vice versa. Here, If we have worked well our business model, We already know what channels we need is to move our value proposition to our customers. William: There fused means "mirror" as radio, Analog and digital, TV, press, magazines. These means work wonders, since they are become an ephemeral interview in a newspaper in an almost eternal digital link. Paula: And then there means necessary for networking OFF, as a business card. There are also pure digital media, such as social networks and blogs. William, Do you recommend a blog on a personal brand plan? William: Clear. If you regularly publishes, It will be the first thing you find us on Google. Not only looking for our name, but looking for keywords. A challenge > seek "Personal Branding Empresa"On your PC or smartphone. If I go out I, It is that something will have done well, is a keyword Important for me. Cast, what makes a blog. 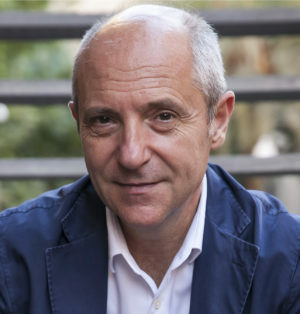 As Alfonso Alcántara, “we are blog without digital sintechos”. Paula social network What would you choose? Paula: Personal interest with Instagram, definitely, Although each network reaches a type of audience and allows message format. Instagram I like because it's so visual, very immediate (stories). B2B business but works great Linkedin, for B2C Facebook, and to meet people Twitter. To search for images Pinterest. And I left the N1, the most comprehensive network what I speak? William: I missed it and that YouTube take to appear. From personal brand, YouTube is the network that best allows us to communicate, with verbal and nonverbal language. Paula: Other means to consider would publish or co-publish a book, use the webinar as this, the podcast, conferences, workshops, Wikipedia. I ignore everything and mix Stalman. William: Paula, and how do we measure the success of this? Paula: Fortunately there are many indicators. The first is to meet the objectives. But then we have very powerful tools to measure the results of our network and our social networks. William: To measure results, even sales conversion, our website or blog, there is nothing like the free tool Google Analytics. SEMRush and others also help us track the effectiveness of SEO, our positioning online. Paula: Social networking, There are many tools, the characteristics of each network, very powerful. A Linkedin el Social Selling Index, and Twitter, Twitter Analytics, YouTube, YouTube Analytics. Instagram and Facebook page need a professional to measure effectively, but we can always count likes and followers. William: I always say that no matter how many follow us but who. But massive sale, communities need large or strategic alliances or advertising campaigns, from AdWords promotional tools to their own social networks. Here we will refer to post about the event #BrandingWeekRD which will take place between 4 and 8 February 2019 at the Embassy Suites by Hilton Santo Domingo (Dominican Republic). Organized by the team QUIFER Consultants and presence of Eva Collado Durán, of self Paula Fernández-Ochoa, profile Nancy Vazquez (from Mexico) and who will write, Guillem Recolons. connect to Anabel Ferreiras QUIFER Consultants to reserve a place or to sponsor the event. We hope you have enjoyed this dialogue about personal branding, I hope you will be encouraged to participate in Santo Domingo to deepen and put in value.